Guys, her MMA sessions were INTENSE! 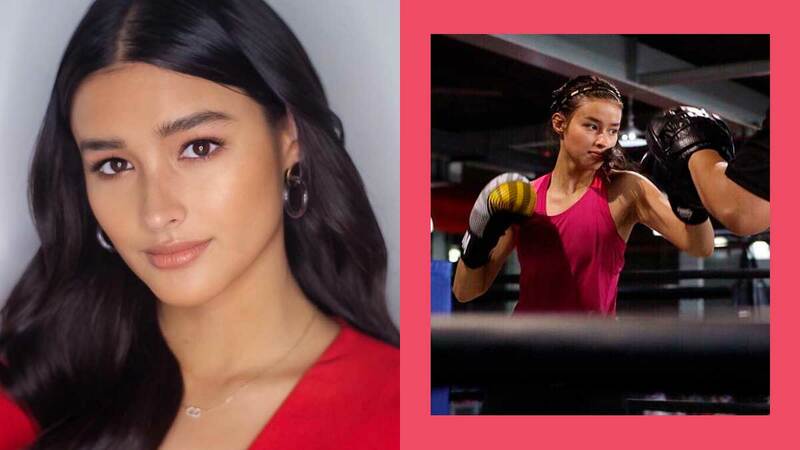 On April 10, 2019, we spotted previously unseen photos and videos of Liza Soberano from her training sessions in preparation for the Darna remake. These were posted on Facebook by Erwin Tagle, an award-winning Mixed Martial Arts (MMA) fighter and Liza's coach when she was still training for the movie. He is also working with James Reid for the upcoming Pedro Penduko film. "Superhero in the making before she injured her finger [crying emoji]. She got injured in an accident during her TV show with a different stunt team," his caption read. Mixed Martial Arts is a regulated full contact combat sport between two fighters trained in various martial arts forms. MMA involves striking and grappling techniques from a variety of different martial arts styles such as boxing, submission fighting, catch wrestling, jiu-jitsu, judo, Thai boxing, and karate. In the comments, netizens commended Liza for her dedication to the role. One comment even said, "Naiiyak talaga ako kapag pinapanuod ko 'to. Ikaw pa rin ang Darna para sa amin, Hopie." Others declared that they are willing to wait for her, encouraging Liza to go back to the role after she's fully recovered. Coach Erwin also posted some clips on Instagram, saying, "The super hardworking superhero @lizasoberano. Sayang hindi niya mapapakita yung potential niya as a superhero." Earlier this month, Liza and ABS-CBN announced that she will be withdrawing from the Darna movie due to an injury she acquired in 2018. The actress fractured her index finger bone while filming the fantasy series Bagani. To this day, she continues to receive medical treatment for the injury. She has already undergone two surgeries with one involving plates just to hold the bones together.